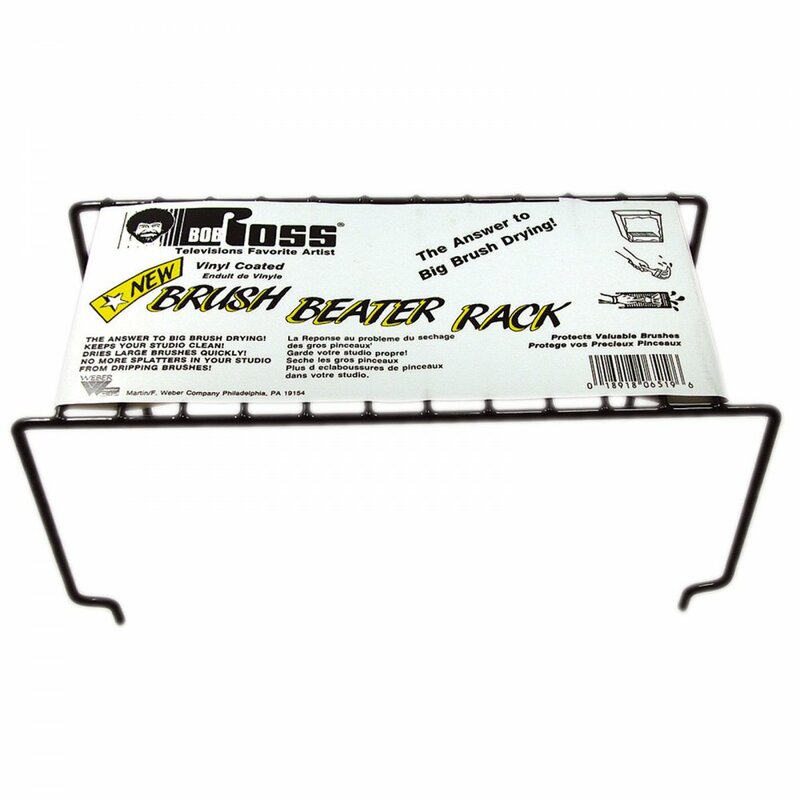 Bob's brush beater rack is used to remove the excess thinner by firmly beating the bristles of the brush against the rack. The answer to brush drying allows big brushes to dry quickly and no more splatters in your studio from dripping brushes. For best results stand inside another container to catch the splashes and run-off as you scrape the brush along the rack to remove the paint and thinner.